Every business is unique and has its own identity, which means it should have custom signs to establish credibility and generate awareness. Our well-known signage company specializes in custom signs, safety signs (ADA signs), directional signs, event signs, and all type of business signs for small, medium, and large companies. We have many years of experience in the graphics design industry, and all of our designers are highly qualified. During our years in business, we have seen and done all kinds of signs, so we know what works best and what doesn’t so that we can become your best ally for your marketing needs. Get the custom business sign you’re looking for today! 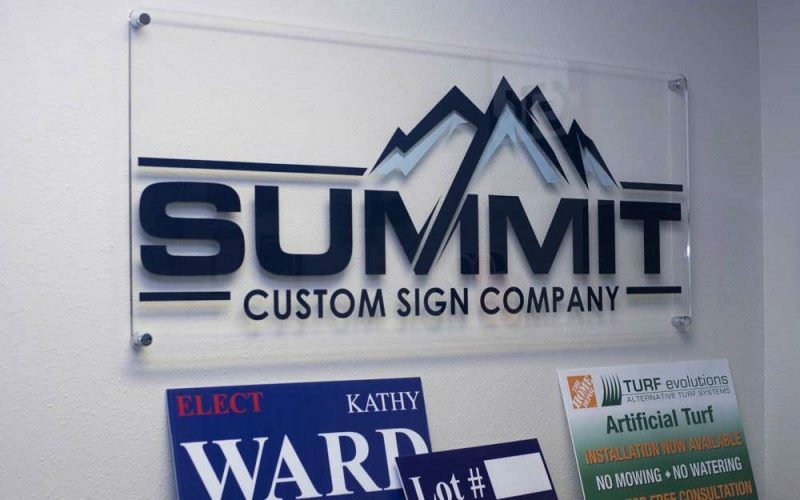 Summit Custom Signs can help you design, manufacture, and install any signage solution you might need for your company, including retail signs, safety signs, event signs, business signs, and much more. Just let us know what you need, and we will do it for you in a fast, reliable, and affordable way. We want to become your trusted signage company and team up with you to combine your ideas with our expertise to create unique signs that create brand awareness and motivate your target audience to buy from you. Browse our website to learn more about us and how we can help you take your business marketing to a whole new level, or contact us and request a free estimate so we can get things started.